1. 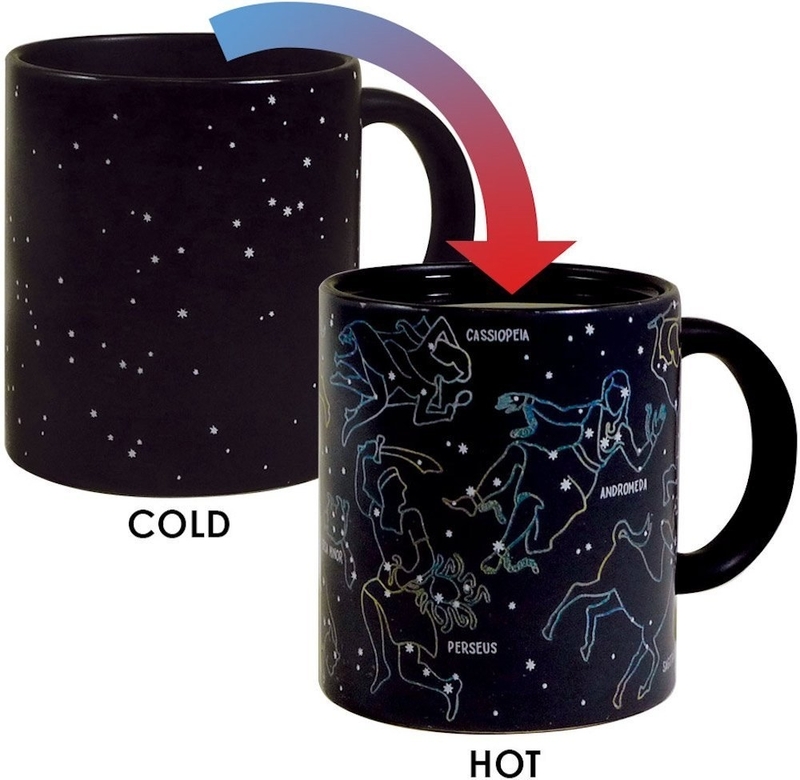 Sip all of your hot drinks out of this impressive heat-changing constellation mug. 2. 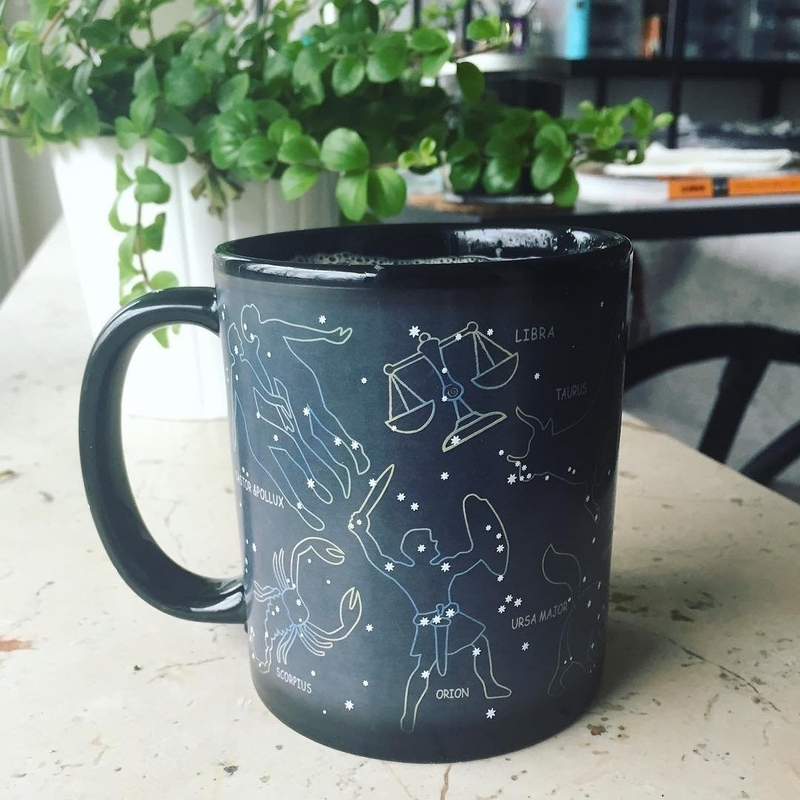 Wash your hands with soap to match your star-sign. Yep, it exists. 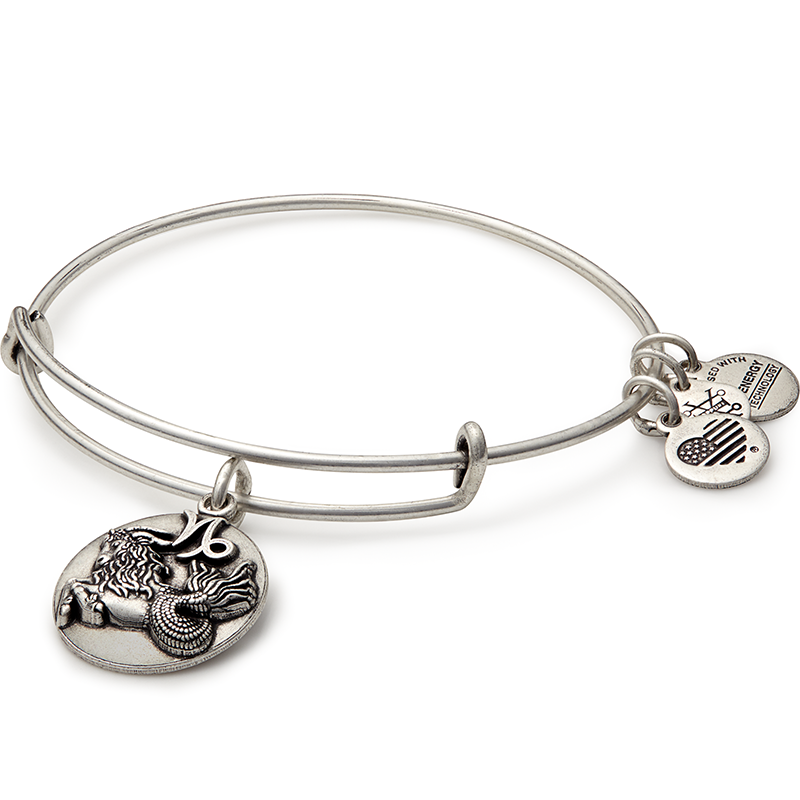 For example, Aries wash their hands with Mangosteen, Virgo washes their hands with Sugar, and Cancer washes their hands with Waterlily. 3. Write down your to-do lists, important info, and deepest-darkest secrets in these journals. 4. 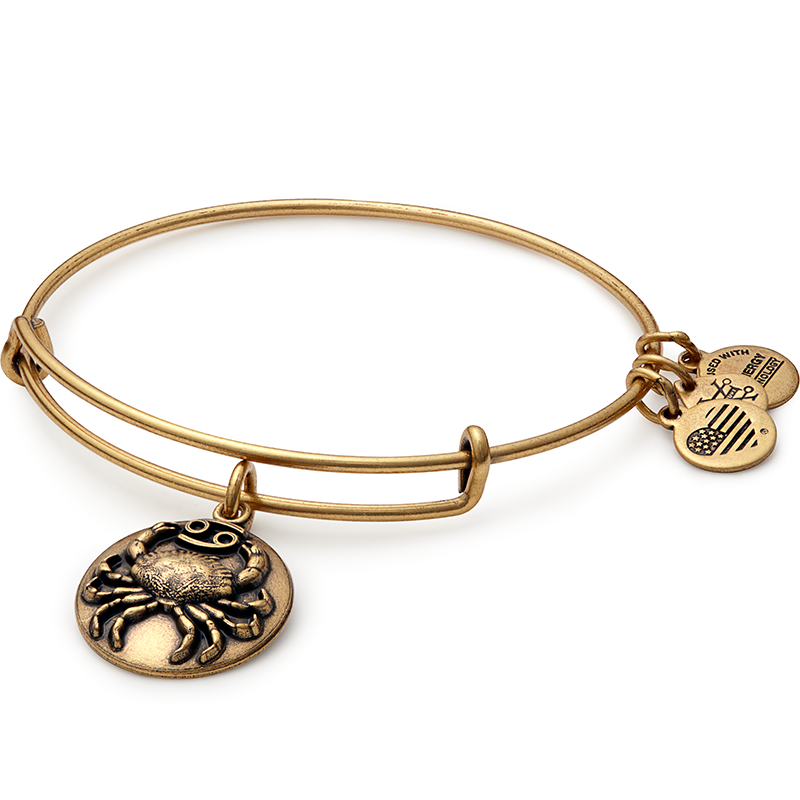 Adorn your wrist with your star sign thanks to a gorgeous Alex and Ani bracelet. Get it from Amazon for $22.90 (available in two colors). 5. Give your room some serious flare with this zodiac tapestry. Perfect for using as a wall decoration, window curtain, or blanket. 6. And if you're looking for just one more thing to give your living space that extra astrological edge, a throw pillow cover will do just the trick. Get it from Cemengz2367 on RedBubble for $20+ (available in three sizes). 7. Ok, FINE, while we're still on the subject of decorating, hang this clock to complete your room's aesthetic. Get it from Martinenaomi on RedBubble for $35 (available in three frame colors and four hand colors). 8. Wear a pullover to ensure you're only ever surrounded by fellow horoscope-lovas. Get it from Look Human for $29.99 (available in three colors, sizes XS-XL). 9. 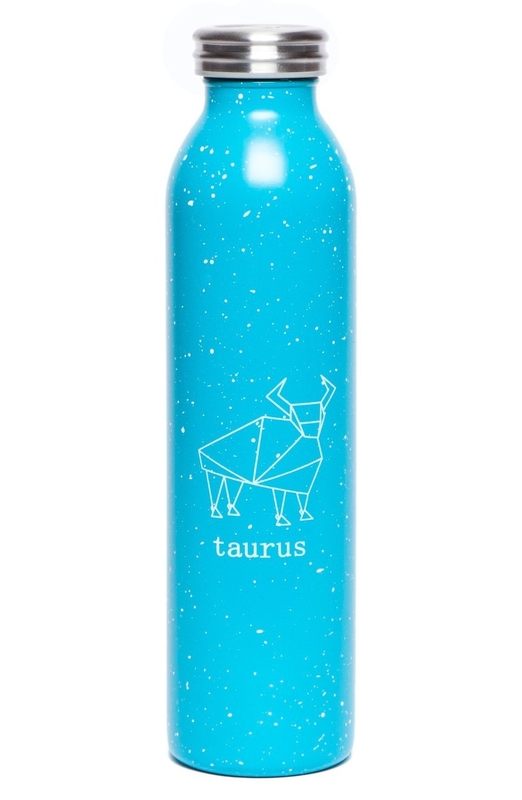 Stay hydrated all day, everyday thanks to this stainless-steel bottle. 10. Decorate a laptop or notebook with this astrology calendar sticker. Get it from Mooshe on RedBubble for $2.50. 11. Don all the zodiac signs 'round your neck with a pretty collar necklace. Get it from Nylon for $45. 12. Or opt for a v trendy black velvet choker. Get it from Jikum on Etsy for $8. 13. And after getting all of these gorgeous pieces, store 'em in an adorable jewelry dish. Get it from ThePaintedPress on Etsy for $14. 14. Keep your iPhone safe in a beautifully-crafted astrology case. Get it from Martinenaomi on RedBubble for $29.16+ (available as a snap case, tough case, or wallet case, models 4-7+). 15. Turn on one of these gorgeous constellation night lights when it gets dark outside. Get it from Apollo Box for $48.99. 16. Protect yourself from the hot summer sun this season with an awesome snapback. Get it from VinteesUK on Etsy for $10.99. 17. Unleash your quirky side with these funky, fresh gazer booties. Get it from Nylon for $129 (sizes 6-11).